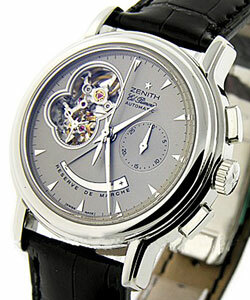 This watch is also known as: 03.0240.4021-21.C495 , 03.0240.4021 , 03-0240-4021-21-C495 . Contemporary pieces that take your breath away with their classic design and stylish effect have conquered the world of timepieces. 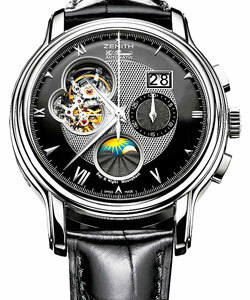 This manifests through this Zenith El Primero Chronomaster T Model # 03.0240.4021/21.C495 (030240402121c495) that is powered by a mechanical self-winding movement. 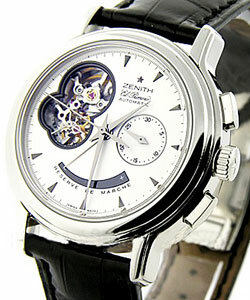 Surrounded by a stainless steel casing, this Zenith El Primero Chronomaster T Model # 03.0240.4021/21.C495 (030240402121c495) has a case diameter of 40mm. Bringing a vintage class apart from modern design, this versatile timepiece displays a midnight black face enamel with a geometric transparent opening at the upper left portion of the dial to witness the mechanism escapement inside it. El Primero anthology is one of the most famous collection produced by Zenith, and this time pieces is known for their genuine black leather in crocodile pattern with a secured pin and buckle clasp. 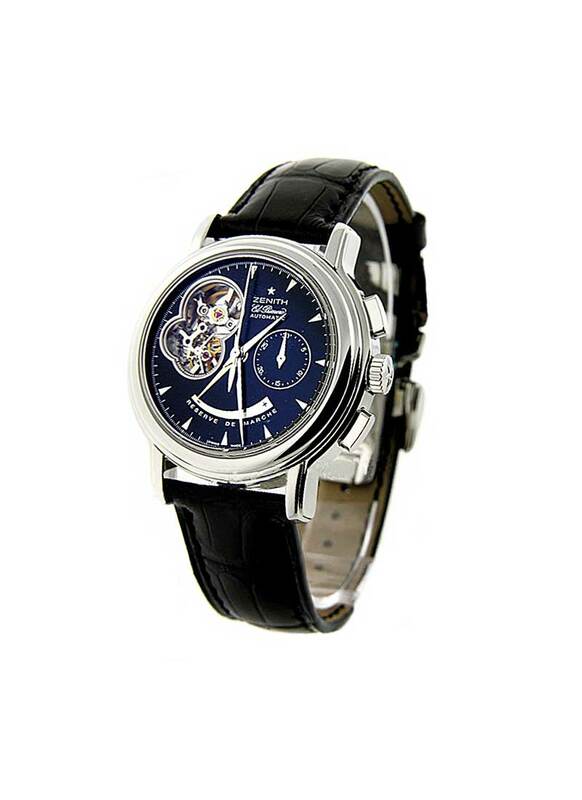 One thing that is for sure, this Zenith El Primero Chronomaster T Model # 03.0240.4021/21.C495 (030240402121c495) is designed for the man of today and will still be fit for the man of tomorrow.